Hiking is something we love to do as a family. We’ve already taken several this spring, and have more planned for summer. Exploring and getting into the heart of nature are two reasons we love it. 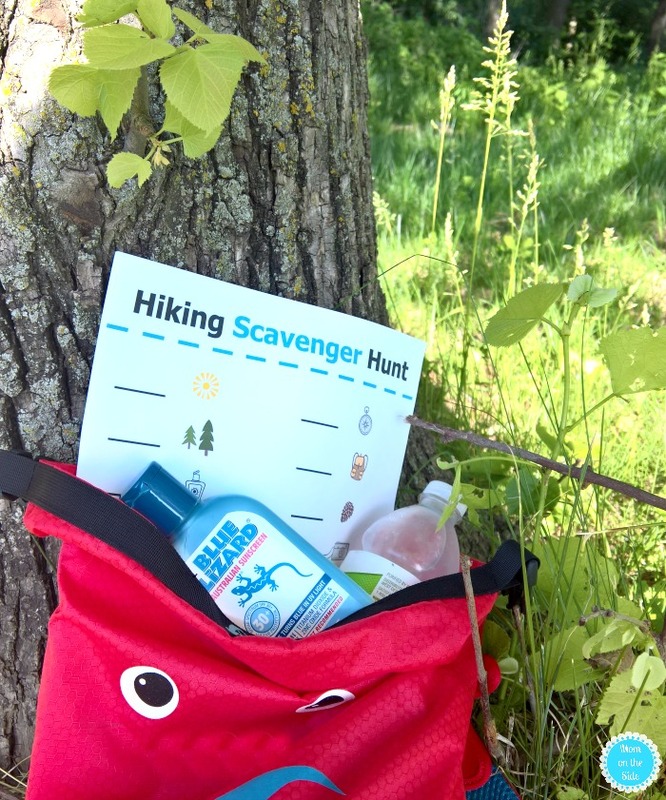 With fantastic weather over the weekend, and National Trails day being June 3rd, we packed up the printable hiking scavenger hunt and Blue Lizard® Australian Sunscreen for a hiking adventure! Finding new places to hike always offers new adventures, but we don’t always have time to go far away. Some of our favorite hiking trails are right in town, like Western Historic Trails Center and Fairmount Park where we took our recent hike. 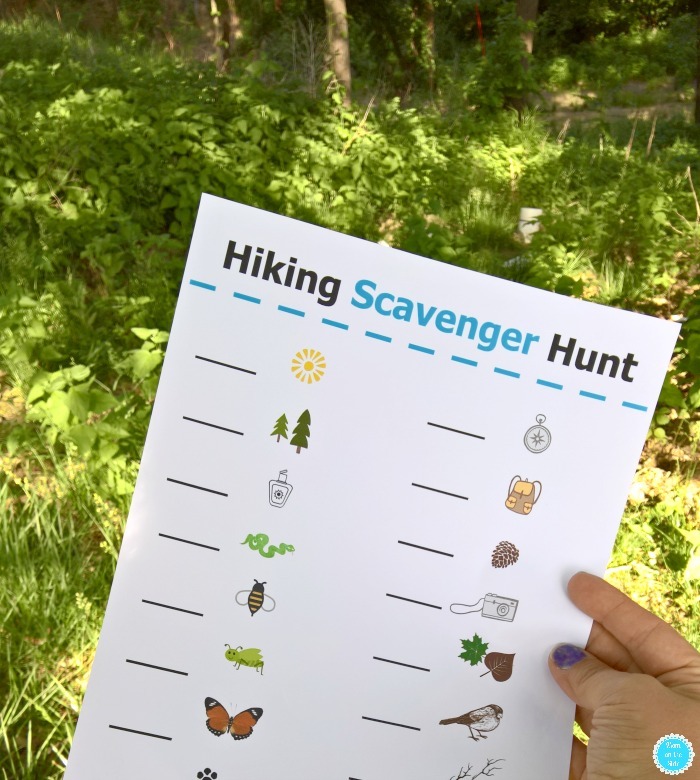 The kids have been many times, so a printable hiking scavenger hunt made it a new adventure for them. Searching for things like a pine cones and grasshoppers had them looking in areas they hadn’t before. I even made mom life easier and added sunscreen to the picture so I would remember to reapply and the kids wouldn’t argue. When you are hiking in high temps, water and sunscreen are musts and something I always pack. 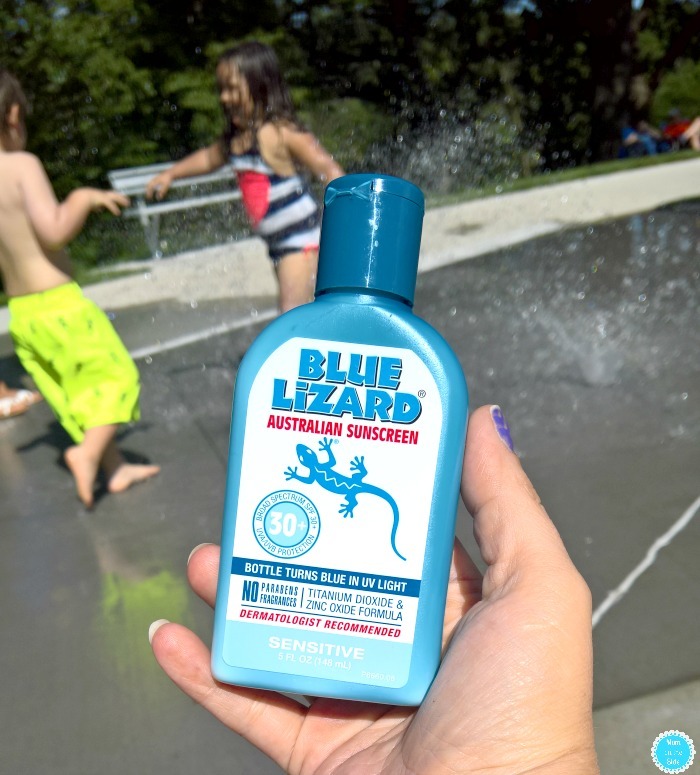 Being out in the sun that long, I like having protection like Blue Lizard® to keep my family safe from the sun. Ranked as one of the top sunscreens by the Environmental Working Group (EWG) Blue Lizard® provides all the coverage needed with broad spectrum UVA/UVB protection (SPF30+) and unique zinc oxide formulation. 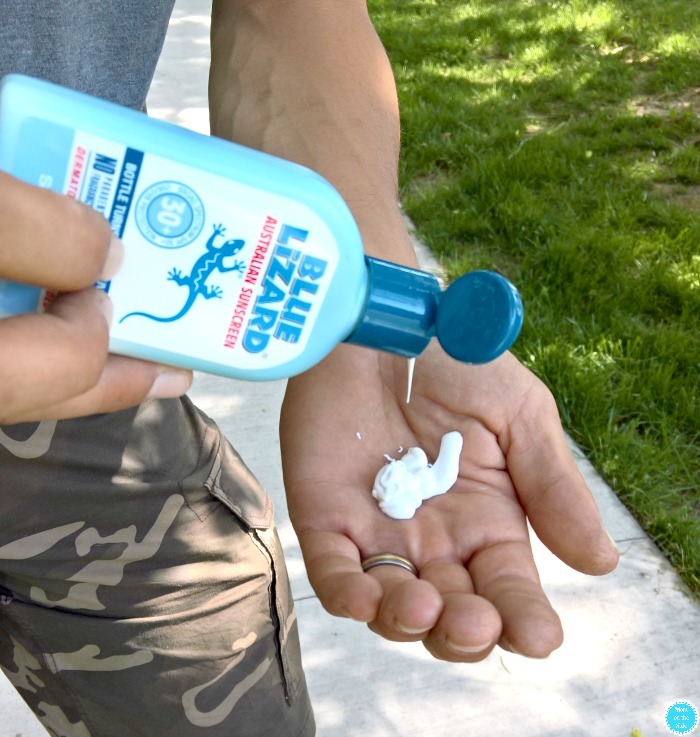 One big reason I like Blue Lizard’s® is because of how well it goes on. I’m not left with greasy residue or white hands that take forever to wash off, which aren’t fun to have on a hike. Another awesome thing is the Patented Smart Bottle™ technology. The bottle literally changes color when exposed to harmful UV sunlight. In the above photo, my husband is reapplying in the shade on the hike. Notice the lighter shade of blue? The bottle below is after the hike, while the kids are playing at the water playground in full sunlight. The blue is noticeably darker. Moms, this can be used as a great teaching tool for your kids on when to re-apply sunscreen. 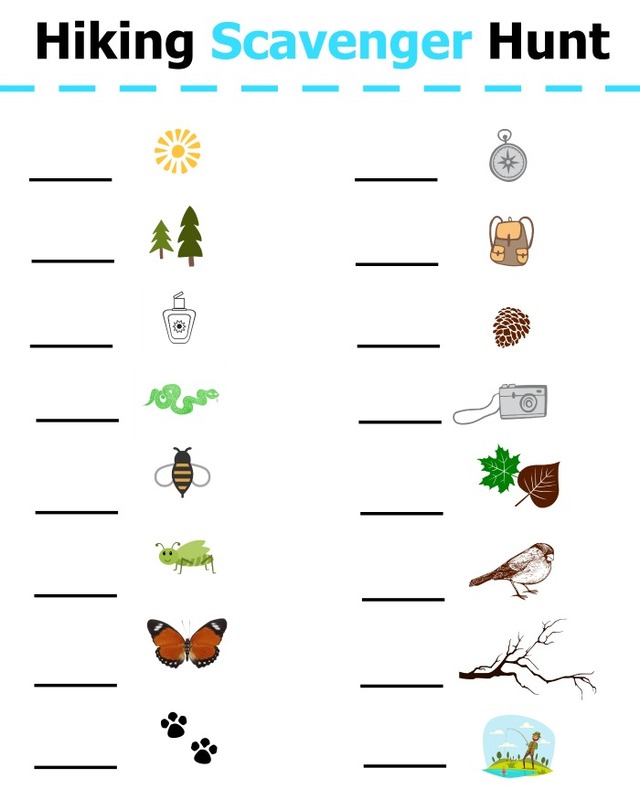 Grab your printable hiking scavenger hunt below, pack your backpack, and get ready for an adventure in nature. Don’t forget the sunscreen! 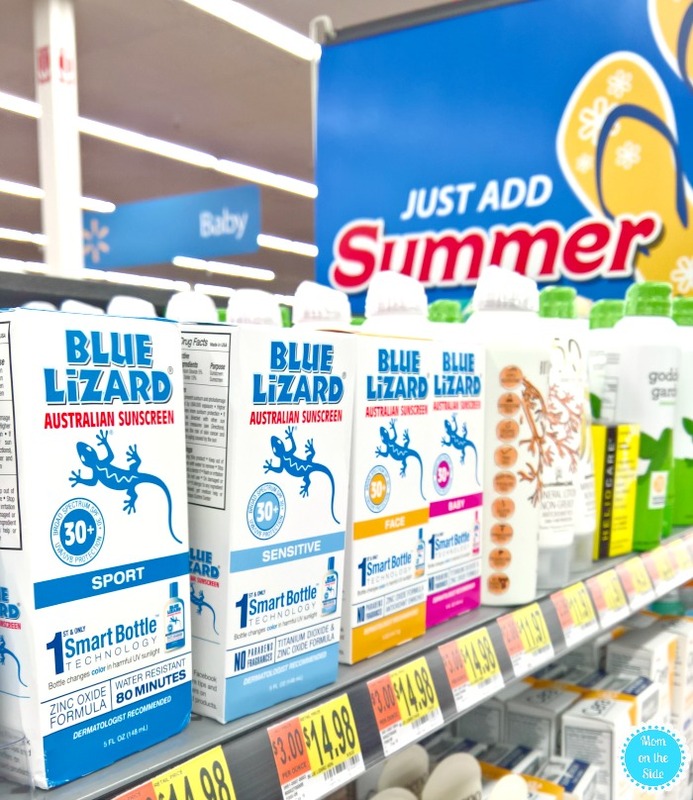 You can easily find Blue Lizard® at Walmart stores and if you join iBotta you will earn $4.00 when you purchase Blue Lizard® – Sensitive, 5 oz. bottle only. I love this scavenger hunt! We’ve been doing more hikes this year, and having a list like this would be a fun little game for my son (so he’s not bored by another “walk.”) Also sunscreen is a MUST in our family. I don’t leave home without it! What a fun idea to make hikes more exciting. I want to take my kiddos to a local wildlife park for some walking on the trails this summer. This is such a great idea! I used to run a camp for younger kids and this would have been an amazing activity to incorporate into our schedule! Such a fun summer idea! Having kids outside is so important and this will for sure keep their interest! What a fun way to enjoy hiking with kids! I used to make our own scavenger hunts for the backyard! It got the kids out and working together too. Pretty fun way to enjoy the outdoors! I love this idea. I would do things like this with my kids when the were little. Great job. I love the idea of a hiking scavenger hunt! My kids love to hike and it would be such a fun thing to add to a hike! Scavenger hunts are always such a fun idea, they’re a great way to get kids to actually look around and enjoy the scenery. Sunscreen is very important, too!